Walden Pond Press, 9780061998690, 240pp. 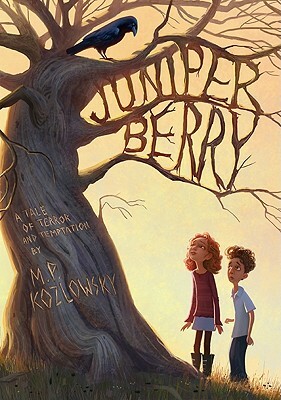 M. P. Kozlowsky is the author of Juniper Berry. A former schoolteacher, he lives in New York with his wife and two daughters. In a story at once harrowing and touching, Kozlowsky enlivens the narrative with a deft hand, melding imagery that recalls the work of Neil Gaiman, Lemony Snicket, and Hans Christian Andersen...This compelling read promises to draw reluctant and avid readers alike. The quirky plot (who knew brightly colored balloons could represent such dire consequences?) is nicely accented with a slightly out-of-time feel...Kozlowsky wisely builds toward a rich and complex climax worth these often-splendid characters.